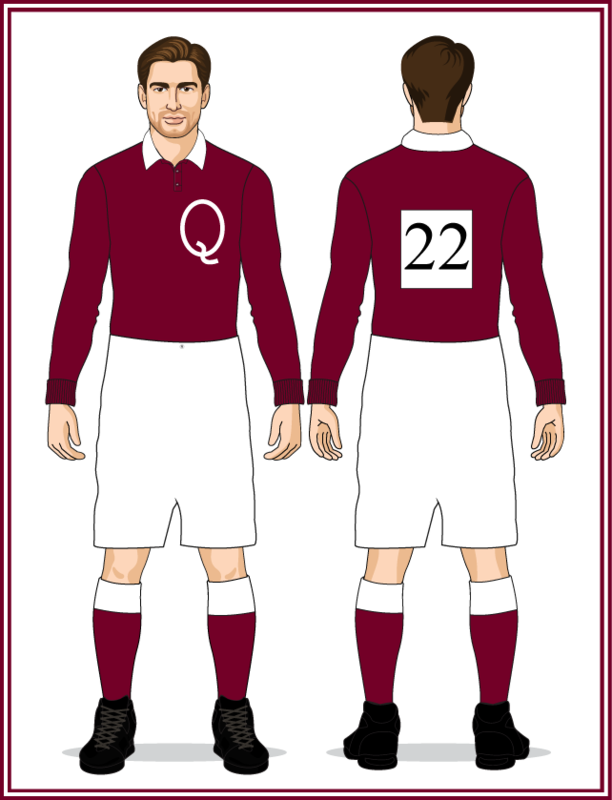 Same uniforms as the 1914 Queensland state team, minus the "Q" on the front. - white added at the neck. - new version of the "Q" added to the jumper front. - socks changed to all maroon (first time since 1908). - jumper changed from a circular neck to a button-up v-neck. - neck returned to all-maroon. - new version of the "Q" added to the jumper front (very similar to the ﻿1908 version﻿). 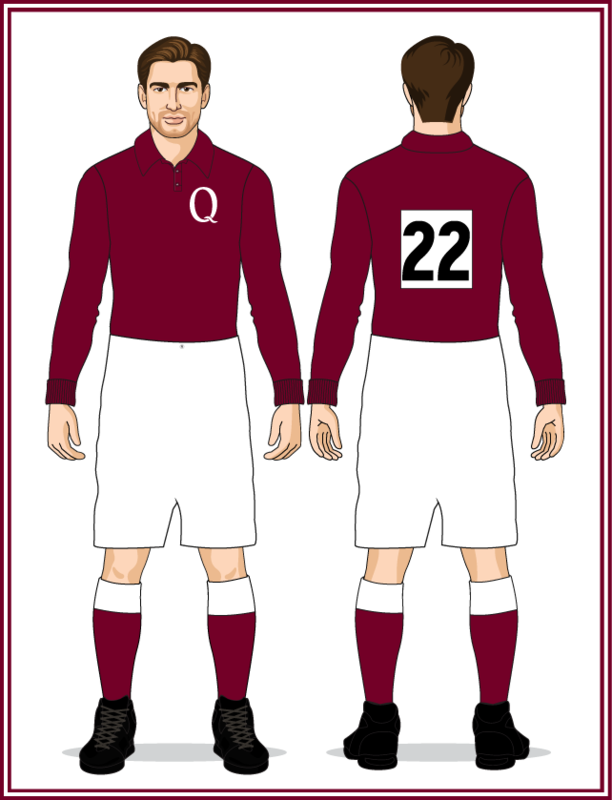 - socks returned to maroon with white tops. 1926 - new version of the "Q" added to the jumper front. 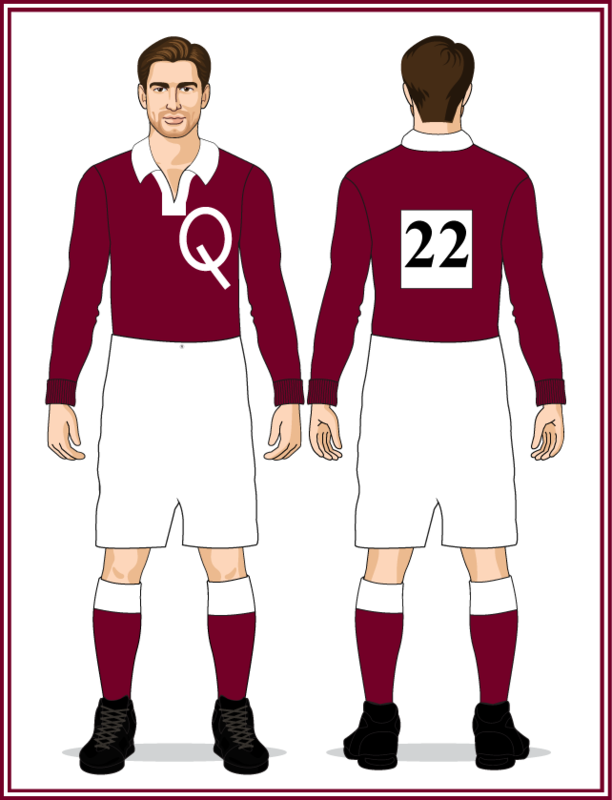 1928 - collar changed to white. 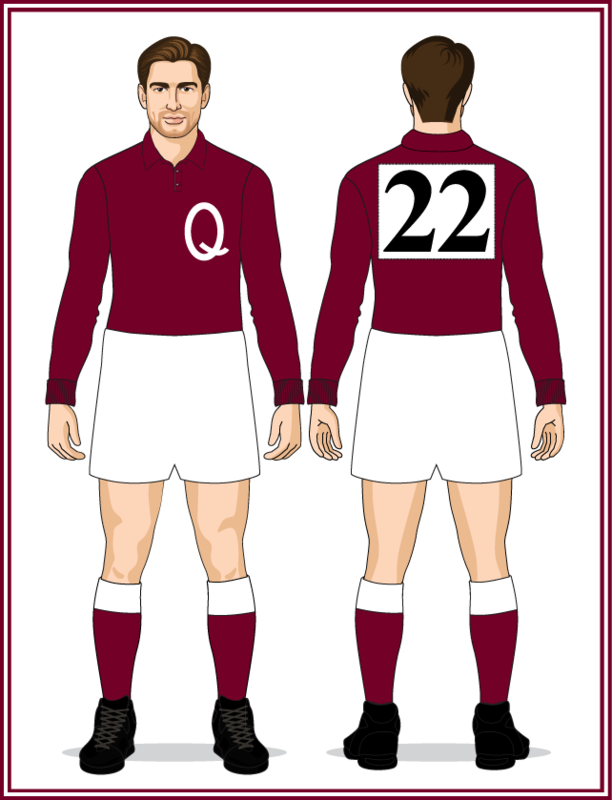 - jumper changed from a traditional Australian football jumper to a rugby jersey with a white neck. - numbers changed to a bold font. - return to a traditional footy jumper. - collar/neck returned to maroon. 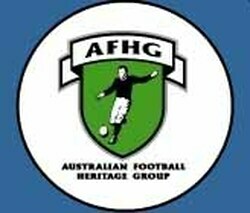 - numbers changed to a traditional footy font. - new "Q" added to the jumper front. - numbers changed to oversized, non-traditional footy font. - shorts changed from knee-length knicks to the shorter, baggier style worn until the late 1960s/early 1970s. New "Q" added to the jumper front.